This week, Las Vegas, Nevada hosted the International Builders Show (IBS). IBS showcases the Building Industry on a Nation-Wide level, and allows builders from all over the Nation to learn about new trends taking place in the market. One of the main events of IBS is the National Home Building Association’s Gold Awards, (think The Oscar’s of Homebuilding), in which builders are nominated in variety of categories and compete on a nation-wide level to take home this prestigious award. Best Interior Merchandising of a Model 2,000-2,499 Sq. Ft.
We are honored that we were able to win these awards, and highlight the Denver Market on a National scale! Thank you to everyone that has contributed to the success of this community! 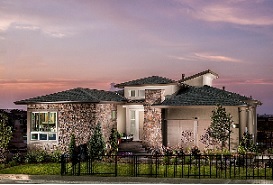 We look forward to sharing more Berkeley Homes’ for the people of Colorado! NAHB’s National Sales and Marketing Council (NSMC) has announced Gold Award Winners for The Nationals new home sales and marketing awards. Home builders, developers, associates and consultants.The Nationals salutes and honors the best in the building industry for their determination, integrity, creativity and endurance. Gold Award Winners are the top vote recipients in each category and emerged from the Silver Awards Winners, the finalists for the Gold Award. Gold Awards in each category were presented as part of the International Builders’ Show, the awards ceremony on January 20th at Caesars Palace and drew more than 700 attendees. Started in 1982 as the Institute of Residential Marketing, The Nationals award program continues to recognize superior new home sales and marketing achievements. With 57 categories across various disciplines of the new home industry, the awards honor excellence in product and community design, advertising, marketing and sales achievements by individuals and sales teams. During a three-day judging process, a panel of 7 industry professionals from across the country determined the Silver and Gold award winners from a field of over 1,300 entries.